Jim Richards worked for 10 years as a senior lecturer at University of Salford, and has taught Biomechanics to Prosthetists/Orthotists, Podiatrist, Physiotherapists and Sports Therapists. 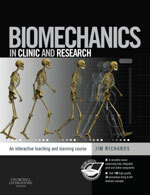 Jim Richards was appointed Professor in Biomechanics in the Department of Allied Health Professions at the University of Central Lancashire in 2004, where he has produced a comprehensive online resource for his students. Professor Richards has considerable experience in conducting clinical research. This includes much work on clinical application of biomechanics, the development of new assessment tools for chronic disease, conservative and surgical management of orthopaedic and neurological conditions, and development of evidence-based approaches for improving clinical management and rehabilitation. The focus of Professor Richards’ work is to encourage inter-professional research and to develop direct parallels with research to the ‘real world’ of allied health work. Professor Richards is also a visiting Professor to the Department of Orthopaedics and Traumatology at the University of Perugia, and holds Honorary Research Fellowships at several hospitals. 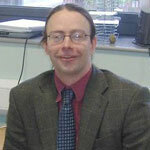 Professor Richards has authored many research papers and has contributed to a number of textbooks, including Tidy’s Physiotherapy (2003).